For anyone involved in vehicle tracking, driver safety, or managing equipment costs, IVMS is an acronym you’re likely to become a lot more familiar with in the coming year—that is, if you haven’t deployed an IVMS already. 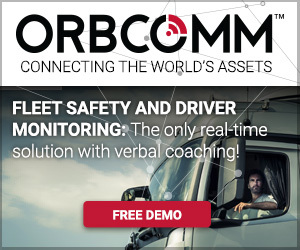 In-Vehicle Monitoring Systems (IVMS) are already providing valuable driver performance information to keep workers safe in a variety of industries. 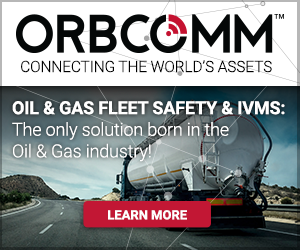 Fleet managers and organizations employing IVMS are also benefitting from improved operational efficiency, reduced costs and enhanced regulatory compliance. The IVMS guidance was written by the International Association of Oil & Gas Producers (OGP) which includes member companies such as Schlumberger, Halliburton and Baker Hughes. While not an official standard, it serves as a reference guide when implementing workplace safety programs. The primary goal of IVMS is the personal safety of the workers in the oil & gas, mining and other resource sectors. According to OGP, vehicle crashes are the primary cause of fatality for oil & gas workers in the field. Industry data has shown that vehicle accidents are commonly caused by excessive speeds or improper operation of vehicle for the conditions. Workers face many challenges in their driving duties given much of their time is spent on secondary roads or off-road where conditions are not necessarily optimal. In addition they may be deployed out-of-state or internationally in geographic areas not well known to them which may increase their risk of accidents. ey performance indicators (KPI) for comparison of driver to driver, same driver over time, or same vehicle over time to identify negative or positive trends in their fleet. From the data captured in the field, supervisors are able to identify higher risk behaviors and implement corrective action via driver mentoring programs. 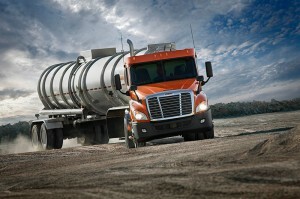 IVMS also helps to reduce maintenance and fuel costs. When implementing an IVMS program, it is important to have partners that can deliver a system that provides reliable coverage and maximum flexibility. As an example, the IVMS must be able to respond to changes in road conditions, as the speeding alert threshold for highway driving should be different than that for a dirt road on a remote patch of farm land. Typically, oil exploration and extraction are done in remote areas with limited cellular connectivity, making a secondary satellite link necessary. Valuable add-ons to IVMS programs include two-way text messaging for dispatching needs or even for emergency communications. Would you share the different KPI’s you recommend, as well as discipline policies that you may have seen in the industry.